We remember and pray for the departed marking the day 75 years ago when Nazis and Communists signed the Molotov-Ribbentrop Pact. Below we have reproduced an announcement sent from the Victims of Communism Memorial Foundation. The Victims of Communism Memorial Foundation in cooperation with The Platform of European Memory and Conscience and the Joint Baltic American National Committee invite you to attend a special remembrance and wreath-laying ceremony on Saturday, August 23rd (10:00 AM) commemorating Black Ribbon Day 2014. Join us as we commemorate the victims of totalitarianism in Europe with a special remembrance and wreath-laying ceremony on Saturday, August 23rd at 10:00 AM. This August 23rd marks the 75th anniversary of the infamous Molotov-Ribbentrop Pact between the Soviet Union and Nazi Germany, which divided Europe and helped start the Second World War. The Molotov-Ribbentrop Pact stands as a reminder that although totalitarianism takes various forms, it only ever leads to death and destruction. On May 22, 2014, the United States House of Representatives passed H.R. 4435, which designated August 23rd as Black Ribbon Day. Congressman John Shimkus of Illinois, co-chairman of the House Baltic Caucus, sponsored the legislation. The legislation now moves on to the Senate. 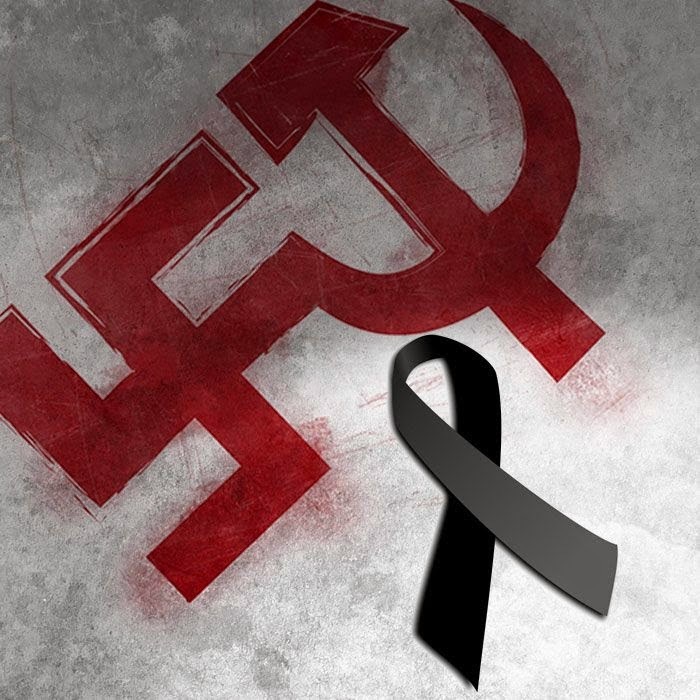 If the Senate passes a matching Resolution, the United States will join countries around the world in marking August 23rd as Black Ribbon Day and commemorating the millions of victims of Nazi and Communist regimes in Europe. VOC, in cooperation with the Platform of European Memory and Conscience and the Joint Baltic American National Committee, will distribute copies of Lest We Forget: Memory of Totalitarianism in Europe to every member of Congress. Lest We Forget is a publication of the European Platform of Memory and Conscience supported by the European Commission. Please join us at this commemorative ceremony, where ambassadors and representatives of various ethnic communities will remember all the victims of European totalitarianism. If you are interested in laying a wreath at this event, please contact Travis.LaCouter@VictimsofCommunism.org.